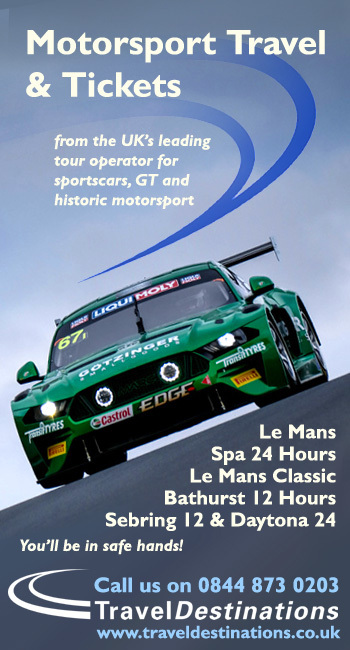 There were effectively two issues to be decided in the Top Ten Shootout for the 2019 Bathurst 12 Hour – Who would start from pole position, and would Jake Dennis, fastest in the Qualifying session, claim the Allan Simonsen Trophy (for the fastest time of the session) – pole not an option for the #62 R-Motorsport Aston Martin after a pitlane speed infringement for team-mate Mathieu Vaxiviere costing the team two grid positions before the Shootout even began. The cars ran in reverse finishing order from Qualifying and it was Imperatori first up in the blue and white KCMG Nissan – 2:04.191. 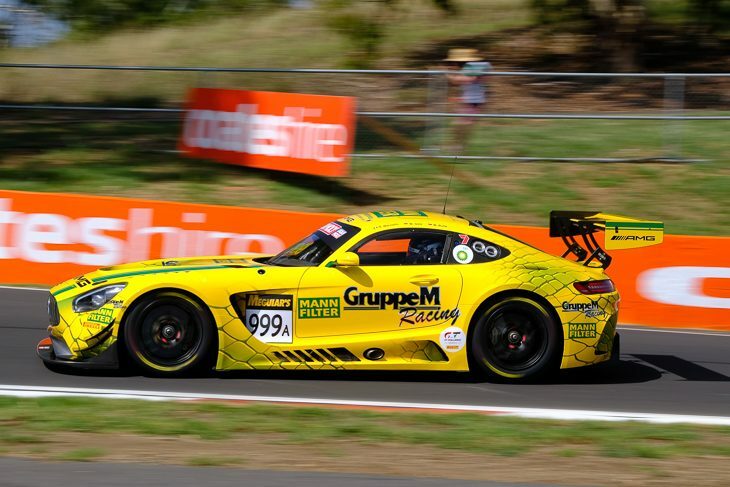 Marciello was next up in the bright yellow GruppeM/ Mann Filters AMG – and he was 1.3 seconds up after sector 2 – 2:02.934 – a mountain to climb for the rest as the Italian hooked it up brilliantly on his one and only shot. Haase was third on track in the #2 Audi Sport Team Valvoline R8 LMS GT3 – .260 down in the first sector to Marciello it was then into the traditional hunting grounds for the Audis over the top of the Mountain – not this time though, more ground lost to the AMG – 2:03.782 8 tenths off – looking good for Mercedes and Marciello. The second of the two Audi Sport Team Valvoline R8 LMS GT3s came next, the #22 in the hands of Kelvin van der Linde – the South African was pushing hard – too hard, over the kerbs and kicking up the dust at T1 – half a second down at the first sector but barely losing anything in sector 2 and cutting the deficit in half by the flag – 2:03.179 – second fastest – but Audis hopes of pole were gone. The massive presence of the #107 Bentley of Steven Kane completed the first half of the contenders – blasting through the first sector just 0.029 down on Marciello, tenths were dropped across the top but thereafter Kane was hunting down the clock – he’d cross the line under two tenths shy – second fastest 2:03.108 – pushing the Audis down another notch. Next Up Yelmer Buurmann in the #19 Mercedes AMG – three tenths down after Sector 1 to Marciello’s mark and dropping time at every turn – 9 tenths down at Sector 2. His effort, 2:03.364 would only be good enough for 5th, behind Campbell’s Porsche. So who could stop Marciello? Maro Engel was next to try in the #77 Black Falcon/ Craft Bamboo AMG – he was a tenth up after the first sector too – but dropped three tenths in Sector 2 – He clawed back most of the deficit but 2:03.041 was still a tenth astray – An AMG 1,2 on the grid though was assured – with another Mercedes, and an Aston Martin doomed to statrt no better than third, to come. 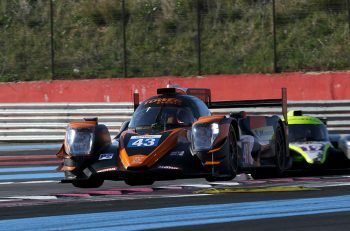 Pole then confirmed for Marciello and the #999 GruppeM crew. 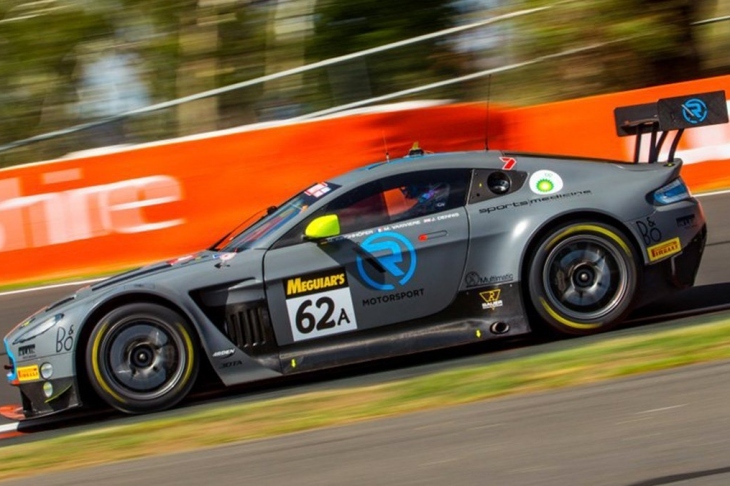 Could Jake Dennis though claim at least some of the headlines in the #62 R-Motorsport Aston Martin – his Qualifying effort had been stellar – a Bathurst rookie in an 8 year old GT3 design in its final blue riband enduro. And he was 4 tenths up in Sector 1! and still a tenth up at Sector 2 – the Aston’s weakest part of the circuit. 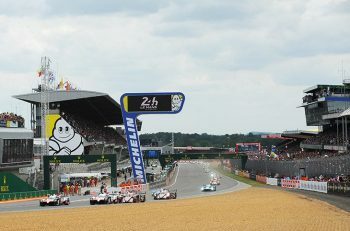 At the flag it was a mesmeric 2:02.494 – fastest time of the session – Allan Simonsen Trophy confirmed but third place on the grid after the earlier penalty.